The following email from Susanna Kaljur is being circulated to Union Bay landowners. According to recent sightings around Union Bay, Jim’s opponent, who resides on Hornby Island, has Ted Haraldson (UBID Chair), Lone Jednorog (she ran in October 2016 as UBID Trustee and lost), and UBID Trustee Rick Bitten, all campaigning on Jim‘sopponents behalf. Why is this a concern? Read on.. Currently in Union Bay we have a UBID Board majority (TH, RB, Glenn Loxam and Peter Jacques) who are making decisions (aka spending landowners’ money) which appears to benefit Kensington Island Properties (KIP) aka “Union Bay Estates” while ignoring the detrimental effects (financial costs to landowners and weak bylaws) which have direct impact landowner costs via increased parcel taxes and Union Bay’s ability to protect and maintain it’s own potable water supply and our ‘soon to be’ Water Treatment Plant, a long awaited and valuable asset for Union Bay. It was Trustee Jim Elliott in October 2017 who was instrumental in providing a neophyte Board and a newly hired Administrator with no previous local government experience enough guidance, technical know-how and local government experience to successfully bring the UBID Board, by unanimous consent, to a fair and New Potable Water Agreement with KIP. In fact at the October 2017UBID Public Board meeting both the Administrator and the entire UBID Board thanked Jim profusely for his hard work on the new water agreement and his time as Acting UBID Chair during August and September 2017. So what happened? It is a long sad story..
See page 17 of the report for a comprehensive list of the significant concerns regarding the old water agreement and given the capacity of Langley Lake iscurrently unknown (and still is unknown as a comprehensive hydrological study has not been done and the current Board majority have no interest, it seems, in pursuing one). For those who do not know, Union Bay water comes from Langley lake (a small spring fed boggy lake which is why your kettle is brown!) and KIP’s full build out is 3,000 to 4,000 homes, which is a larger development than “Crown Isle” in Courtenay. Union Bay currently has less than 700 households. Facilitator Mattison’s report is an absolute must read if you want to understand the complex issues facing Union Bay Landowners today. When the Board majority resigned in protest due to Trustees’ Glenn Loxam and Peter Jacques questionable “negotiations” with KIP, the Province decided a By-election be held October 2016 where three Trustee were elected to replace the resigned Board; Jim Elliott (who is currently running for CVRD Area A Director) received the highest number of votes and was given the longest term ( ending April 2018) followed by Susanna Kaljur (myself, a current UBID Trustee) and Rick Bitten (also current Trustee). Because our term was only 6 months both Rick Bitten and I had to run again in April 2017. The results of that election are noteworthy – Union Bay April 2017 election saw the highest voter turnout ever; Rick Bitten was re-elected with 295 votes and Susanna Kaljur was re-elected with 294 votes. The community is clearly split and deeply divided, this remains true today and unfortunately for Union Bay continues to be a detriment to effective, transparent local governance which supposed make decisions based on facts and evidence. Instead the current Board majority relies on lies, hearsay, false rumors, misleading misinformation and blindly follows the developer’s (KIP) wishes as their basis in making decisions which in turn impacts Union Bay Landowners financially and in the quality and quantity of of our potable water . Here are some of the consequences arising from decisions this Pro KIP Board majority has recently passed. Since refusing to honor the motion made by myself, Trustee Kaljur, which was voted on and passed inNovember 2017 for UBID to write a letter to CVRD to examine the pros and cons of conversion to the CVRD (one of the many excellent recommendations made by J. Mattison in his Report (see page 25 and 26)) since there are significant financial benefits to landowners of such a small community by merging with the CVRD. 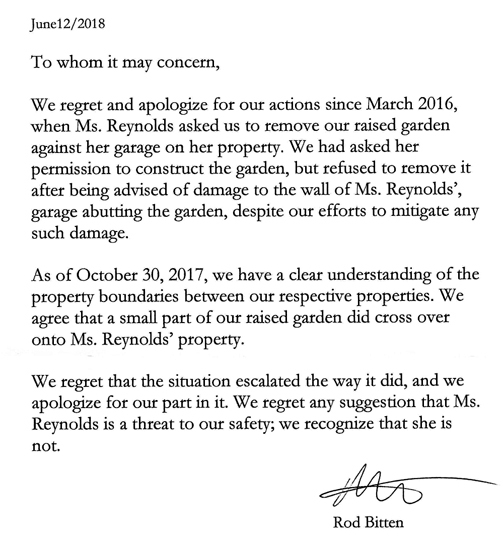 Instead of following through on their own motion the Board has stalled on sending the letter to the CVRD using a variety of bogus and misleading ‘reasons’. The UBID Board appears to be deliberatelymisleadingthe landowners regarding the actual contents of the Governance Change letter dated March 19, 2018 sent to the UBID Board by Marijke Edmondson, Director, Governance Structures. This letter is available on the UBID website. While the recent Landowner Updates quote accurately two paragraphs (paragraph 4 and 5) encouraging UBID in “getting the construction of the water treatment plant well underway.” this last line of paragraph 3 is omitted from Landowner Updates. Note the Ministry letter does not state we must complete the water treatment plant only to get “the water treatment plant well underway”, which UBID is doing, the site for water treatment plant is being cleared right now. and neither does Chair Ted Haraldson, who made incorrect and misleading statements in his election papers stating falsely; “joining the CVRD would mean our additional CEC credits (connection fees) created by our new development [KIP/Union Bay Estates] would NOT stay in within our community. This statement has been publicly refuted and declared “incorrect” by both the CVRD and in local media. What does Union Bay lose by not merging with the CVRD? Answer: a whole bunch of money!!! Several times I have requested that the Trustees be given the actual projected borrowing costs – interest only for the 3 to 4 million dollars UBID has to borrow because Improvement Districts do not qualify for Infrastructure Grants or Municipal Financing, which is 2% below prime. Instead we are forced to borrow the money needed to build our water treatment plant. Not having the projected borrowing costs inhibits the Board’s ability to make fully informed decisions about the need to raise our parcel taxes, when to raise them and or how much to raise them?! I was told by UBID Board meeting on October 2, 2018 “to figure it out for myself!” So I did. But wait it gets worse! Even if you wanted to pay attention and get some answers from the UBID Board and/or the Administrator you can’t. Nope, not even I, as Trustee, can get answers. The Board decided in June 2018 that landowners can NOT ask questions at Public Board meetings and must put their questions in writing 5 business days before the Public Board meeting and guess what else, even if you do send in your question 5 working days in advance the UBID Board and or Administrator still won’t answer them! I know this because several landowners have sent in questions well in advance of the Sept. 20/2018 Board meeting and the Chair declared, incorrectly, that there was no correspondence and not one question was answered. If you are feeling depressed and discouraged at this point, I hear you! However a vote for Jim Elliott as Area A Director on Saturday October 20, 2018 is a good start towards bringing an ethical, experienced and hardworking Area A Director to the CVRD! The All Candidates Meeting is on Monday October 15 at 7pm at Union Bay Hall. Full Disclosure: Every statement I have made in this letter is backed by evidence and facts which are verifiable. I have sent this letter to Jim Elliott’s opponent as well, in hopes that he will educate himself regarding the people he has chosen to back him in this municipal election campaign. Should you wish to unsubscribe please send me an email with “unsubscribe” in the subject line. Next Post Wow – does Daniel Arbour really want to hitch his horse to the cowardly, deceptive, and secretive Union Bay Improvement District Board of Trustees wagon?